Which EU country is hot for IT security jobs? 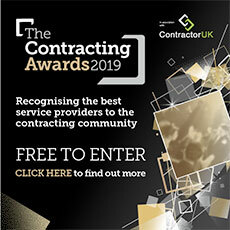 Contractor’s Question: Having taken a pay cut early last year, I was pleased to read that the UK market for IT contractor security jobs appears to heading in the right direction. But if I don’t have the financial reserves to sit tight, what average rate could I command if I started contracting overseas? I’m after somewhere not too far, so within the EU, where they want mid-level security skills. Expert’s Answer: Our internal statistics suggest a continuing increase in both demand and pay rate for IT security professionals, across both our UK and continental operations. This has been noticeable over the past 12-18 months as companies have become more security conscious and risk-averse. One possible reason is compliance with SOX obligations, particularly for US clients in the banking sector. Currently in the UK, rates around £550 a day are still seen as good, with up to £650-750 a day obtainable at the top end of the market. And at home or abroad, with acute pressures on governments and corporate finances, organisations have to decide what action they can cost-effectively take to deliver a safer and more resilient business environment. They are under immense pressure to target investment to deal effectively with the evolving risk landscape. As a result, we are starting to observe some companies hiring contractors with security AND risk experience. Where these disciplines were separate, with companies still maintaining discrete departments, they would prefer contractors to have experience across both technical security and risk management. In terms of alternative locations, pay rates in Belgium for different specialist contractors with intermediate levels of experience range from €800 (£695) a day for Application Security Specialists, to €500 a day for Network Security Engineers. Identity Management Specialists, or BCP/DRP functional experts, can earn around €750 a day. The average pay rate for contractors with experience in penetration testing and vulnerability is around €600/day, although this payment is more often calculated per IP address tested, rather than a daily rate. Pay rates in Switzerland trend about 10% above the equivalent Euro rate. So, average pay rates in Bern for an Application Security Specialist would be CHF 1,144 (£789) a day; for a Network Specialist about CHF 715 a day, and about CHF 1,072 a day for Functional Experts. Meanwhile in Germany, average pay rates for contractors with a security background are between €70-80 an hour. The expert was Sebastien Cobut, operations director for European staffing at Volt, an IT recruitment company.